For indoor or outdoor use with all types of SWA Cable. Provide for Environmental Seal in the Cable Outer sheath. Also, provide mechanical cable retention & electrical continuity . Double compression cable glands!. Matching Accessories available like PVC Shrouds, Lock Nuts, Earth Tag, Reducers, Adaptors, etc. 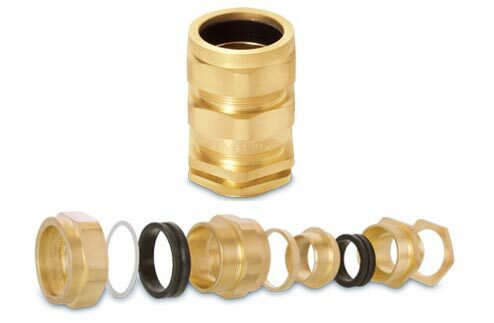 as per the requirement .We can also offer LSF E1W cable gland kits cable gland packs with LSF PVC shrouds , Brass earth tags, Brass lock nuts.